That’s Correct! 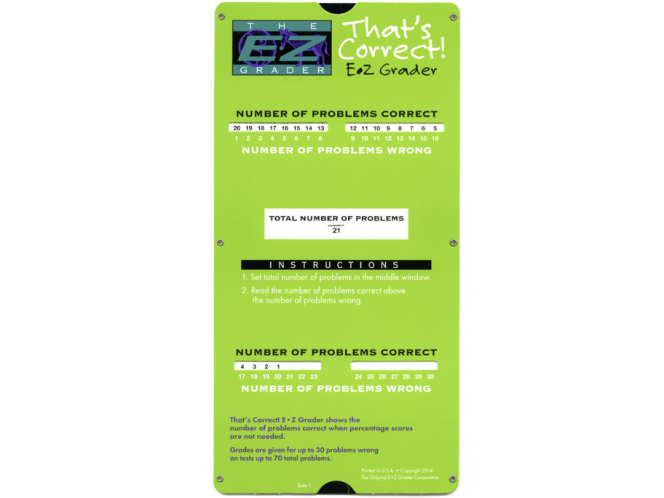 E-Z Grader shows correct number of Problems. Does not show percentage scores and is not based upon percentages. Grades are given for up to 30 problems wrong on tests up to 70 total problems.